I’m in the middle of reading Thomas Bonsall’s excellent Cadillac: The American Standard. Published in 1993, it arrived at my local library by interlibrary loan from the Michigan Historical Library in our capital of Lansing, MI. It smells for all the world like a book that has sat on a shelf for years without being opened, a first edition that the late author obviously obsessed over, a labor of love. And although few readers will appreciate his work, its quality is evident. Just like this 1941 Cadillac’s. What makes this Cadillac so special and so rare is its model designation: Model 67. Never heard of it? Neither had I. In fact, when I found this example at Sloan Museum’s “Golden Memories” car show in September 2018, I thought it was a Series 75 limousine. Nope. The 75 has some subtle differences, the most distinct being its exposed running boards and more upright appearance (compare the rear door pillars of the 67 and 75). My mistake was forgivable, as neither car was a volume leader for the company, let alone the brand. The 75’s sales figures, however, easily eclipsed the 67’s: 2,104 to 922. Cadillac sold the 67 in four configurations, both five and seven-passenger, while the 75 could be ordered six ways. Regardless of the configuration, the Series 67’s wheelbase was actually three inches longer than the 75’s: 139 inches versus 136 inches. The key difference is price: the Series 67 was not a Fleetwood, unlike the 75 and 60 Special, and thus made an extended-length sedan more affordable. The various 67 sedan versions cost about 15% less than comparable 75s. The 67’s body was also used by Buick (shown above) for its Series 90 lwb sedans/limousine, whereas the 75 was exclusive to Cadillac. Although I didn’t count seats in our example, it was the first car I fell in love with at this particular outing: Its stance as it sat in the grass. That menace. Those fender skirts. Those gleaming fender strakes. Even my general disdain for mafia movies couldn’t dim my affection for this Cadillac, a car that seems ready-built for a starring role in a gangster drama. 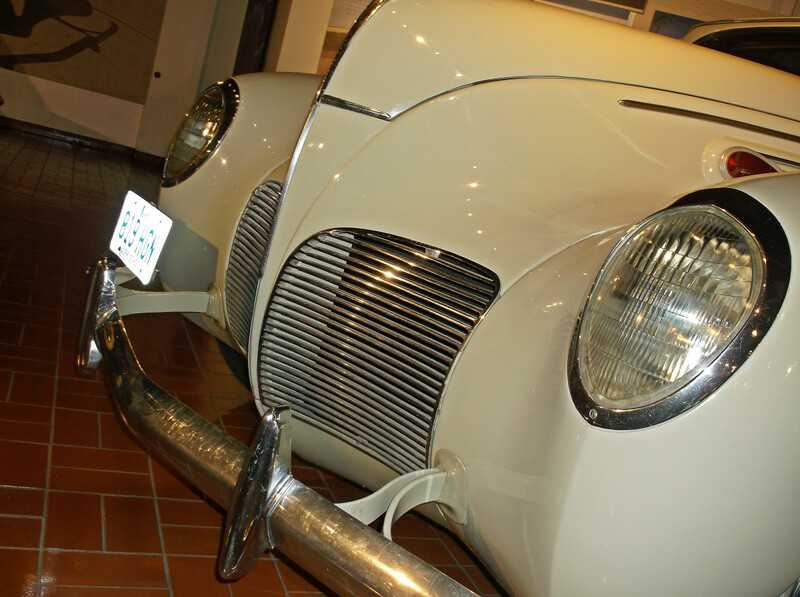 According to legend (many of which are apocryphal), the 1938 Lincoln Zephyr was a catalyst for the 1941 Cadillac. Like most luxury brands, including Cadillac and especially Packard, Lincoln’s front ends were founded on vertical themes. 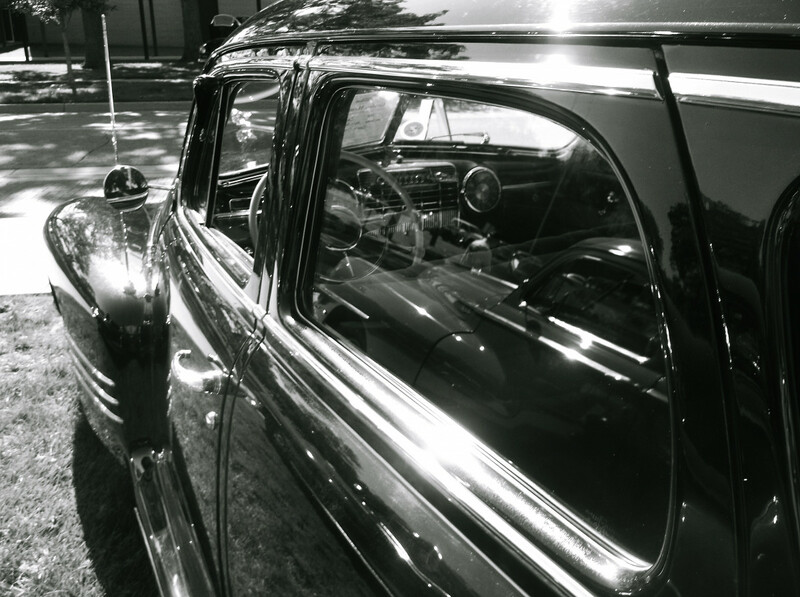 Bob Gregorie, Lincoln’s chief stylist, created the Zephyr’s new grill out of necessity: The old upright grille starved the radiator of air, which inhibited its ability to do its job, namely, to radiate. Therefore, an obvious example of the stylists helping the engineers created a new styling trend, the horizontal grille motif. Whether Harley Earl was already plotting something similar or not is open to conjecture, but either way, the ’41 Cadillac was a dramatic departure from the ’40; and its bold, handsome, glamorous new grille has helped make it one of the most popular true classics, according to the Classic Car Club of America. All ’41 Cadillacs were powered by the same 346 cubic-inch flathead V8, directing 150 horsepower through the buyer’s choice of a three-speed manual or a new Hydramatic. It appears that the original owner of the feature car chose the manual, which is probably just as well. My research has told me that rebuilding an original Hydramatic requires quite a few special tools and even more special skills. Or money. Lots of money. This view of the Cadillac highlights the pontoon fenders that would go out of style soon after the war, but not before they enjoyed one last surge of popularity with the ’42 models. 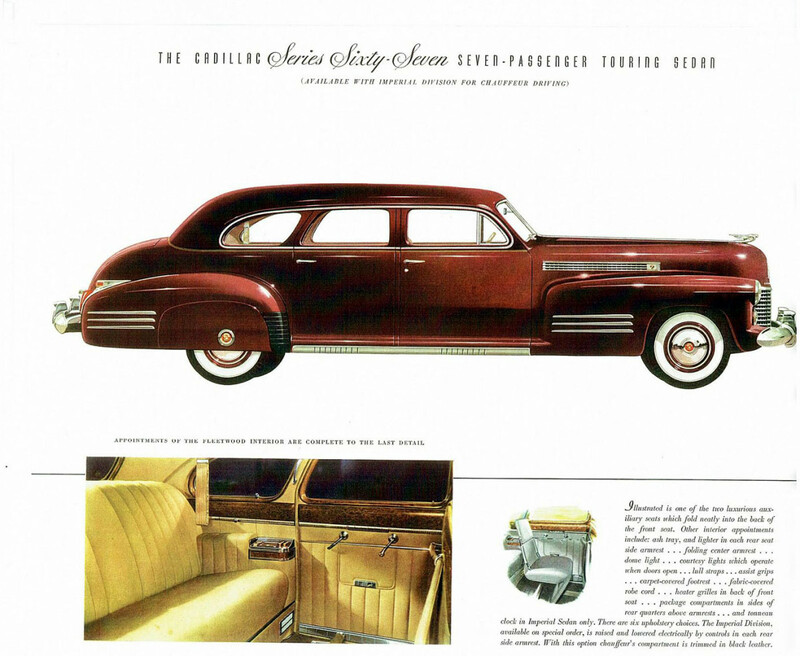 In 1942, the pontoons extended into the doors on all Cadillacs that weren’t Series 75 models. 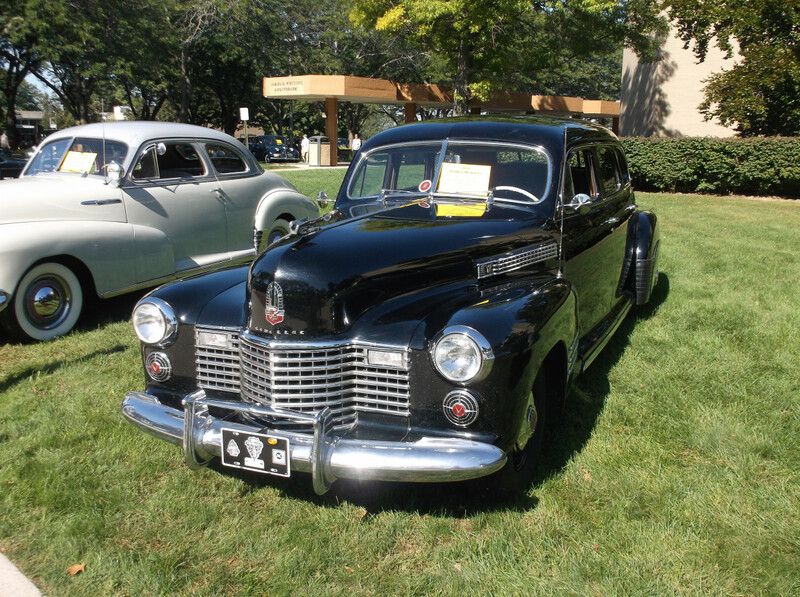 Cadillac only made 700 1942 Series 67s, and the example pictured above (thanks to RM Sotheby’s) sold for 16,500 dollars at their Motor City auction in 2016. That kind of a deal always hurts if it wasn’t yours. Regardless, the 1942’s styling held on through the 1947 models, while 1948 ushered in a new generation of Harley Earl-ness, including the new tailfins. Thanks to World War II, the fantastic ’42s didn’t get much of a chance in the marketplace, but the 1941 model’s styling hung on through 1949 on the Series 75 models. Whether the ’41 or the ’42 looks better, however, is up to you and your stylistic discernment. I’ll take either, but this much is true, according to author Bonsall: this was the era in Cadillac’s history where Packard and Lincoln were left chasing what would soon be tailfins. Lincoln’s Model K ended production, and the Lincoln Custom was arguably not quite in the Cadillac stratosphere. 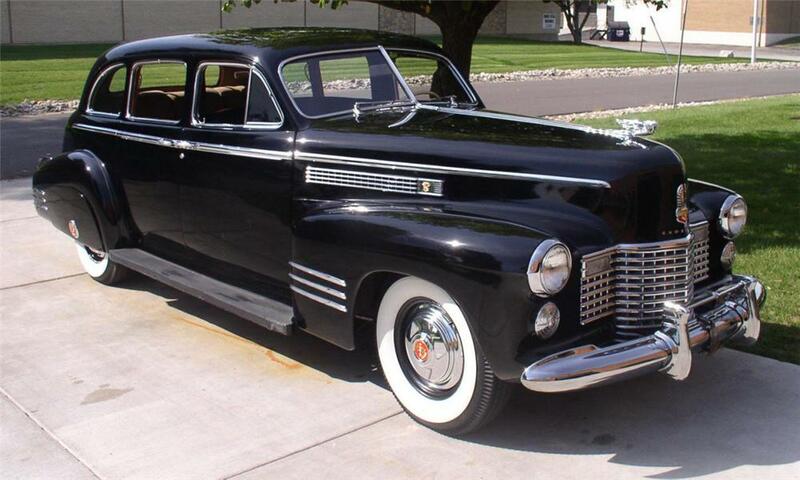 Packard was introducing the new Clipper, which was aimed more at Chrysler than at Cadillac. While Lincoln almost always showed flashes of brilliance; from this point on, Cadillac was where it was at, as this uncommon Series 67 shows. I had not been aware of the Series 67. I had always assumed that the Buick Limited limo shared bodywork with the Fleetwood 75, but this was clearly not the case, as you point out. The 41 really did set the template for automotive styling through at least the first half of the 1950s. Lincoln and the Packard Clipper were moving to svelte, elegant styles but Cadillac went all in-your-face bold. A look that ruled the immediate postwar years. Hmmmmm…… a 1941 Packard or a 1941 Cadillac? What’s your choice; and why? That’s a hard question. The Packard sedan (like a 160) is so much more “traditional” than the Cadillac. But the Clipper would be swoopier. Trim and body style seem to make more difference with the Packard – those Darrin convertibles were gorgeous. I think its a left-brain/right-brain thing. The practical frustrated engineer in me loves the overbuilt nature and the silky inline 8 of the Packard. But the side that appreciates style would see the Cadillac as the modern choice (especially with that novel Hydra-Matic). I think it would depend on which day you asked me. Today it might be the Caddy. I find the styling of this generation of Cadillacs to be clunky and not all that attractive. The smooth, flowing Packard Clippers looked a good five years newer than the Caddys. And there’s that smooth, reliable straight 8 too. Agree on the Packard’s styling. “Quiet Old Money” personified. Neat…I bought that paperback 40 years ago this summer and still have it. Think it also was a made-for-tv movie back aways. Guess “”The last minivan” doesn’t have the Hollywood appeal. I don’t know if/when there will be a “last convertible” so far they keep coming back despite the threat of safety regulations and the desire of most to be isolated. I keep thinking that self-driving cars themselves might eventually be outlawed. 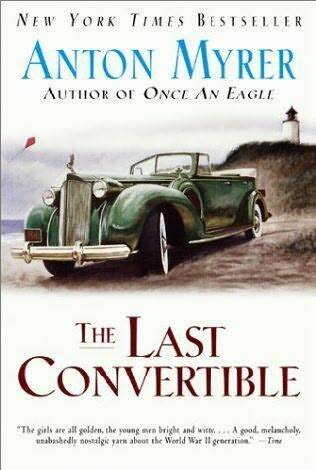 I’ve never owned a convertible and probably never will, but this book got me interested in Packards and 4 door convertibles…that’s probably the “last” that has happened, a 4 door convertible (was Lincoln last in the 60’s?). My favorite would be neither: I’d have bought a ’41 Continental, even though it was mechanically inferior, just because I like the way it looks. After that, I think I’d want the Buick Limited in ’41. Of course, a Packard Darrin or Sixty Special would also be fine. Do we consider a Chrysler to have been in this league, or were they more Buick-level in ’41? They look pretty good to me… If not, I’d go Packard. They would have been closer to Buick, although I’m not sure of the price breakdown among the different models. Later Imperials were fundamentally closer to Cadillac and Lincoln, but by that time, Packard was on its way out. I was not aware of the existence of the Model 67. Especially that it’s wheelbase was longer than a Series 75 limo. I’m wondering if the extra length was to make the jump seats more usable and if this was actually considered a business car, much like a stretch limo is today. That would be one reason why it is not trimmed as a Fleetwood. Cadillac had many specialty models available at this time. The fabulous 60 Special usually carried a 133 in. wheelbase, three inches longer than the model 62 sedan. Although there were some years where it was on an identical wheelbase to the 62s. While these long and large cars may seem a bit over the top to modern eyes, the whole point was for comfort and carrying capacity for long range over the road travel. Commercial airline flights were not as common or convenient during the 1940s. Cross country land travel was usually handled by the railroad, as in the Coast to Coast Super Chief. These big cars are easily analogous to the modern Escalade XL models. Yeah, I would assume that the Series 67 was aimed at commercial buyers who’d be carrying paying customers. The availability of a divider window combined with the emphasis on additional rear seat space suggests as much. 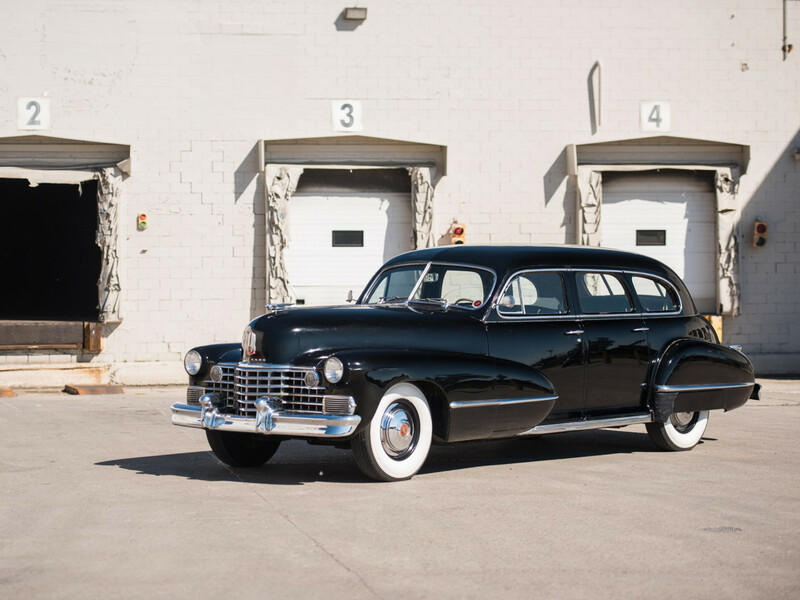 There was still an active market for long-wheelbase seven-to-nine passenger sedans through the WWII period and into the early 1950’s after which it tapered off to all but Cadillac 75. Chrysler fielded the widest selection, in all lines from Plymouth to Crown Imperial. Most of these cars were employed in taxi or livery service be it for stage-line buses, railroad station and airport transport. A percentage were mourner’s limousines by the larger funeral homes. Of course, some companies kept a fleet for management chauffeuring purposes. An impressive limousine was a sign of success then, now just a gauche display. And before the advent of the steel station wagon, the 7+ passenger sedan was the only game in town for larger families who were well-off enough to avoid stacking passengers two deep (and the annual maintenance of a yacht). Even not-so-well-off families were large, as in 5 or more children. I believe Plymouth offered an 8-passenger sedan as well as Dodge and Desoto. Several years ago, I saw a rather plainly equipped 1951 Desoto 8-passenger sedan, which was far from opulent like a Cadillac or an Imperial. It had regular cloth seats (Bedford cord? ), and no radio or clock. Cadillac, from an era when that name actually meant something. Together, GM, Fisher and Misterl were masters at presenting body variety with interchangeability, sometimes not so obvious. 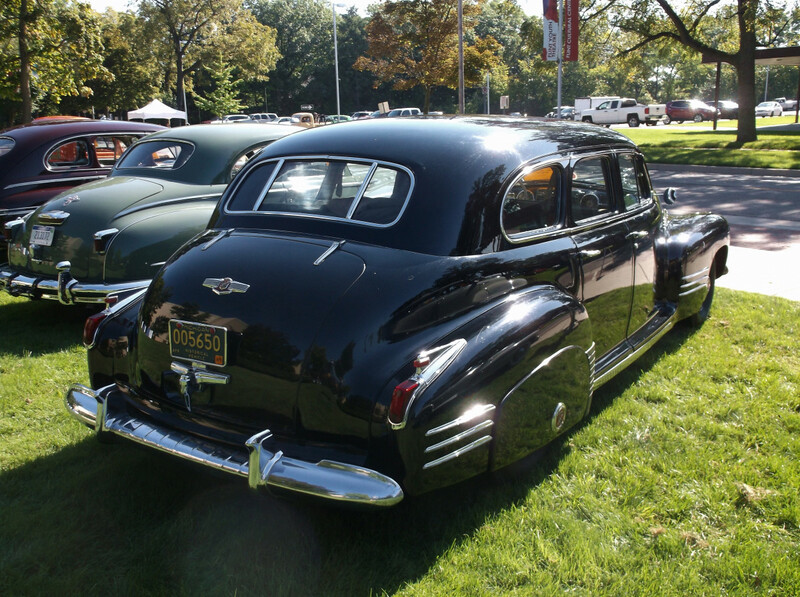 The ’41-’42 Cadillac 67 and Buick Limited were lengthened versions of the B-Body series. Where as the for ’41 75, it was what had been the 1940 Cadillac 72 which was a lengthened version based on the new-for-1940 Torpedo C-Body shared by top-of-each-line GM makes from Pontiac to Cadillac. 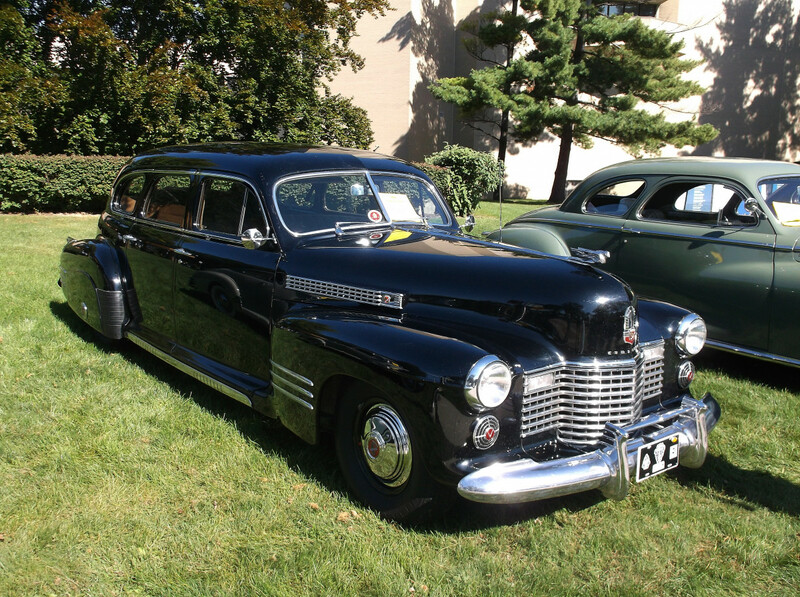 Through 1940 Cadillac 75 and 90, Buick Limited and Roadmaster had shared various body series. Consistent with the rationalization program driven by Nicklaus Dreystedt, Cadillac Division manager, body selections were brought into line with and more component sharing among volume Fisher lines. Buick was also withdrawing from so much direct competition with Cadillac, deleting first its long-wheelbase Series 80 Roadmaster and eventually Series 90 Limited. 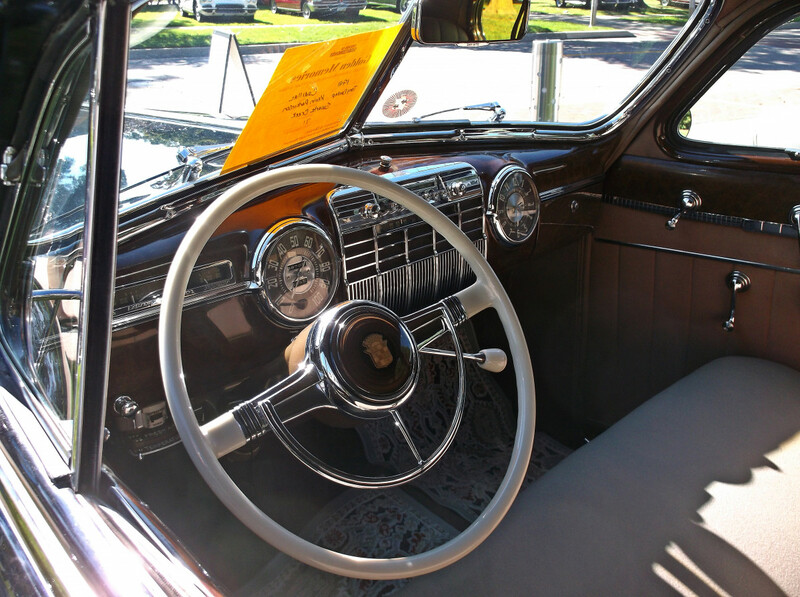 The 1940 Roadmaster Series 70 was initiated to fill the slot at prices just below the soon-to-be Cadillac 61 after LaSalle gave its life to its companion make for the good of the division. Definitely looks better with whitewalls. In my opinion the golden era of the American automobile was the 1940 – 1956 period. They were simply the best cars in the world. Style, comfort, dependability, ease of maintenance, price, nothing could surpass them. 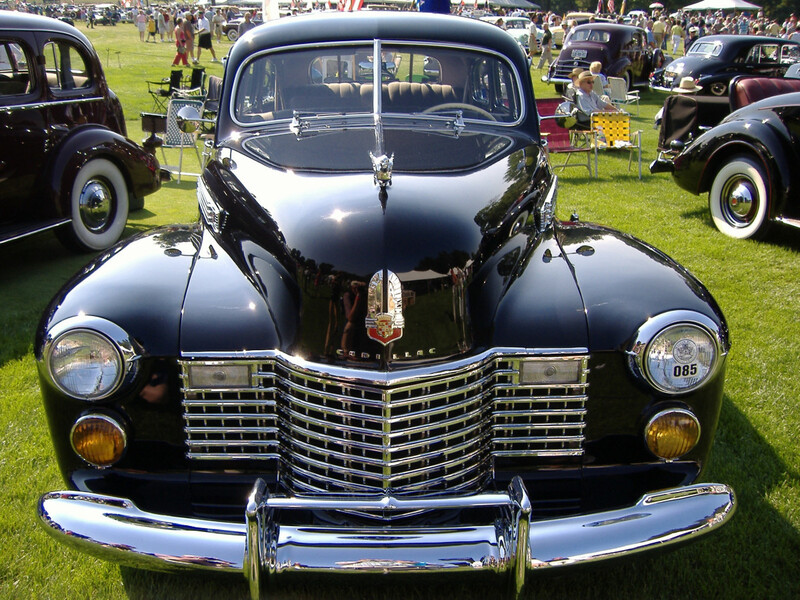 And the 1941 Sixty Special Cadillac was the sovereign of the road. Hydra-Matic was not yet super-common on prewar Cadillacs, and I imagine quite a bit less so on models intended for commercial users or professional drivers. It was an expensive option — $125, which is $2,241 in 2019 dollars — and one supposes that buyers with chauffeurs weren’t keen to spend that money for a chore the chauffeur was being paid to execute! There were some fairly substantial internal differences between the early Model 250 Hydra-Matic and the postwar models, including a different rear clutch with more plates and a rear gearset with compound planetary gears. (There are two sun gears on the input shaft, with two sets of planets and two ring gears, the second of which is integral with the carrier for the front set of planets.) There was also a reverse pawl instead of a cone clutch. The Model 250 wasn’t exactly rare, since that was the version that went into a bunch of WW2 tanks and AFVs, but there are a lot of unique parts. Even if you’re familiar with the innards of the later, much more common Dual-Range Hydra-Matic, some of it is going to be peculiar, although the operating principles aren’t that different. Hydra-Matic was optional on Series 61 through 1951 and on 75 through 1954. The wartime use of the transmission was a real proving ground and cause for improvements that were incorporated in the postwar production. They were some of the toughest automatic transmissions available. Besides proving their worth in the tanks in WWII, the dealers were instructed to ship defective Hydramatic transmissions to the factory instead of trying to repair them in the field, and receive a brand new unit in the crate. That way, the engineers were able to diagnose the problem, learn from it and why it failed, and improve the design with running changes over the years. In the end, the THM350, and especially the THM400 often outlasted the car, despite being the component having the most parts in the car or truck. Too bad GM didn’t institute a similar policy in the 1970’s and 1980’s with their products. I keep scrolling back to that first picture. The car looks so right. Great article Aaron! Thanks taking the time to write and share this.